At the centre of your being is your core-self. We first experience a painful separation from our core as babies when we realise we are separate from unconditional love. We experience the imperfection of our parents, who can’t give us unconditional love. But felt even more deeply is the separation from the unconditional love of the divine. The source from which we came. Before we had the words to name it, or the reasoning to understand it, we suffered this most cataclysmic experience. This is called our core wound. I completed year two of a five year practitioner Core Realisation course last November with Amadis Cammell. Core Realisation is a relational integral therapy as well as a spiritual facilitation modality. Relational Integral Therapy (RIT) is the therapeutic application of Core Realisation. It unites practical transpersonal alchemy, spiritual psychology and body-oriented humanistic therapy. RIT works to remedy the detrimental effects of our conditioning on our body defenses, ego structures and soul fixations. We need to identify how our upbringing compelled us to disconnect from our self, others and life as a whole. It also facilitates ways to access our integral essential spiritual nature and Core Self; we then may realise who we truly are and learn to live from our heart. RIT is therapeutic as it focuses on healing our inner child, adult personality and soul; relational as it opens us to the “other”; and integral as it connects us to what is essential for wholeness. Energetics work on our soma – the structures, vitality and sentience of our body. This facilitates emotional grounding, psychosomatic healing and embodied spirituality. 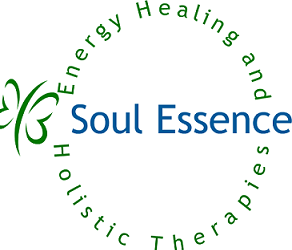 Energetics comprises oriental energetics and somatic (body oriented) psychology modalities such as Qigong, Deep bodywork, Bioenergetics and core energetics. Dynamics work on our psyche and ego – our soul patterns and personal character. This addresses childhood wounds to resolve our personal, familial and communal relationships. Dynamics comprises relational humanistic psychology therapies and core-centred modalities, such as Energetic Integration, Healing Theatre, and Alchemy of Transformation. Resources work with our core – the spiritual, essential and authentic nature of our Self. The premise is that the love, energy, essence and consciousness of our supernal being are the source of all healing meaning and purpose. Resources is born out of spiritual philosophies and practices in the Gnostic, Christic< Sufic, Buddhic and Daoistic traditions; as well as contemporary transpersonal systems such as Chan, Internal Alchemy, Pathwork and Diamond Logos. Soma – The body of an individual as contrasted with the mind or psyche. The purpose of an Inner Child Healing. Children are very emotional beings as the ability to understand has not yet developed. Many times in childhood when we expressed these emotions we were punished, or at least disapproved of and rejected. So after time the emotions become suppressed in an attempt to avoid punishment and rejection. However the energy of the emotion does not then get discharged and therefore begins to accumulate in our energy fields and in our bodies. This causes blockages to the healthy flow of emotional energy which then creates tension and pain. In our attempts to not feel this emotional pain we try to deny it by blaming others for how we feel, projecting our feelings onto others. However the energy has to go somewhere and as it becomes denser it can somatise into the physical body and create pain and disease. Pain is a way that our self healing intelligence will try to bring our attention to these unresolved left-overs from the past. So in a Inner Child healing we facilitate the client to heal unresolved emotional pain from childhood. This can relieve the congestion within the energetic and physical bodies to the extent that diseases can be healed. Giving the Inner child attention in a loving and allowing way. This meets a deep need and allows what is in shadow to feel safe enough to emerge. Giving a safe space for the child to express their feelings, and so run off the emotional charge that has been held since that time. Holding and loving the child, especially after venting these feelings which are normally rejected, deeply dissolves and heals the patterns of fear, shame, and rejection out of which we create our ego defences. We all have, within us, an Inner Child, and yet for those of us who have been abused, neglected or bullied in childhood, that inner child is very often a hurt, lonely and a very frightened inner child. It is our images of the past that have a major effect on our lives. With a trained energy healer you can clear some of these images and re-parent or reclaim that wounded child, and uncover any conscious or unconscious mythology of ourselves and begin to re-evaluate and transform it. Linear time does not apply when we work internally and with the unconscious. It is possible to bring our present wise and loving self, to meet and help our young Inner Child and offer comfort and support and find a new joy and energy in living. Inner Child healings can have amazing results. By bringing to consciousness the feelings of our wounded inner child we can realise how we react from our subconscious in situations. But once we know why we react in situations, we can make a conscious decision to come from love and react in a more loving way. Through guidance, understanding and love we can learn to know how to form healthy and loving relationships by learning to love ourselves primarily. Because we have dysfunctional relationships internally, we have dysfunctional relationships externally. Loving ourselves is about unconditional love which means no judgement and no shame. I highly recommend you check out Dr. James Messina’s excellent article on the subject of inner child here.